Ever since developing an obsession with luxe Japanese-made brushes late in 2012, I have slowly and painstakingly acquired all sorts of gems. Tools may be an investment, but they make a world of a difference in ease of application. 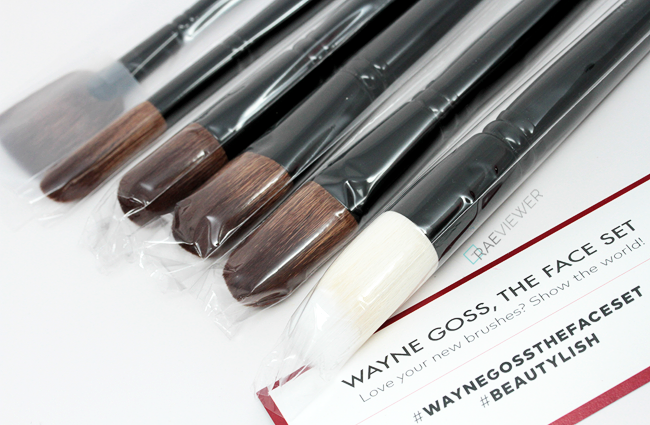 The Wayne Goss Face Set ($265 USD) was finally released on Beautylish last month, and I am thrilled to share that it has exceeded my expectations. 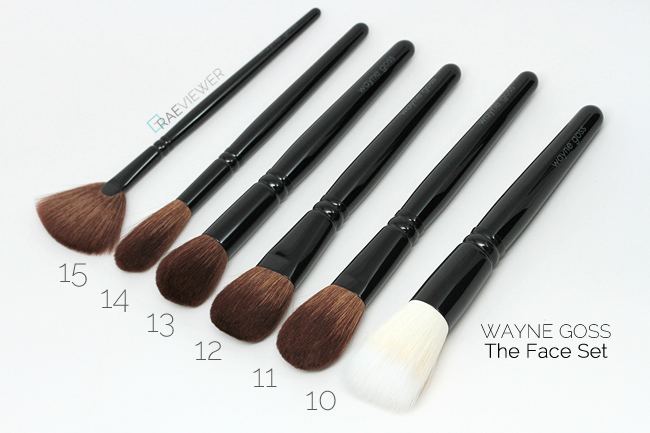 These brushes build upon Wayne's first collection and are larger since they were designed for foundation, contouring, highlighting, and everything in between. Check out the individual break downs and brush comparisons after the jump! The brushes are only available as a set currently, but individual brushes will be for sale starting April 2014 pending availability. 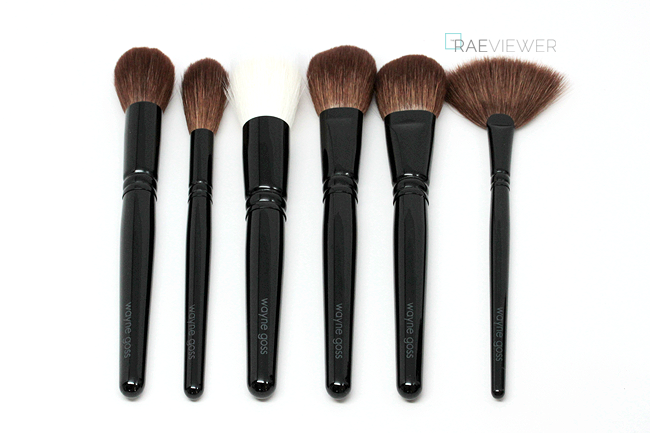 At an average of $44 per brush, I would daresay these are a bargain for the quality, and these six brushes from the Face Set are more versatile than they may appear at first glance. I will admit I was apprehensive as I am accustomed to white, ashy brown or (dyed) black bristles. 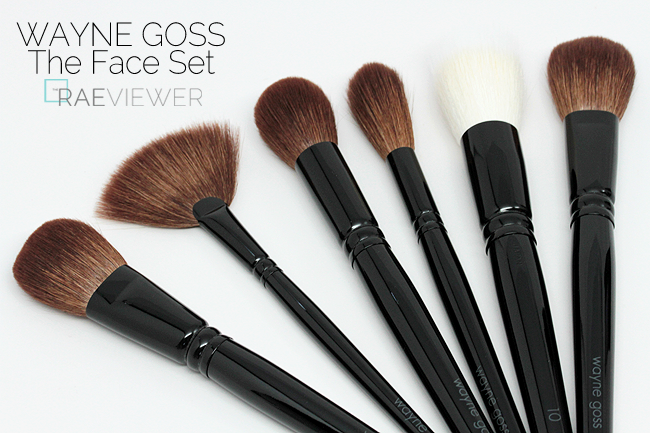 The warm sable-colored bristles of the Wayne Goss Face Set, however, are impressively dense and plush. The lightweight, lacquered wood handles with black metal ferrules complete the sleek and professional style — comparable to the beloved yet elusive SUQQU brushes. BRUSH 10, DUO-FIBRE $53: "Perfect for liquid and cream foundations, it's a larger version of Brush 01 from The Collection. 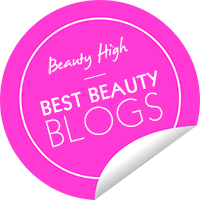 It helps fine lines disappear as you blend, and it is so soft that it will never pull the skin." 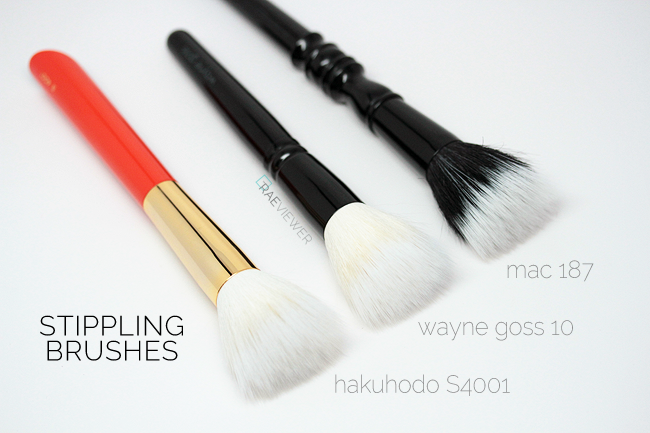 The Wayne Goss 10 is similar to the Hakuhodo S4001 in that they are boast completely white brush heads, though the WG is a smidgen smaller in diameter. Most duo fiber brushes resemble the MAC 187, with black-dyed natural fibers and extended white synthetic bristles, so I prefer the unique, all-white look. 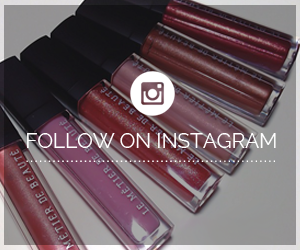 The WG10 distributes both loose and pressed powders well, but I also recommend it for highly pigmented blushes. I used it in my most recent tutorial video with two powders here if you'd like to see it in action! BRUSH 11, LARGE POWDER $48: "Soft enough for applying any powder product — bronzer, blush, or highlighter — over foundation without disturbing it." This particular brush is excellent for powder foundation because the smaller brush head provides a hint of extra coverage. 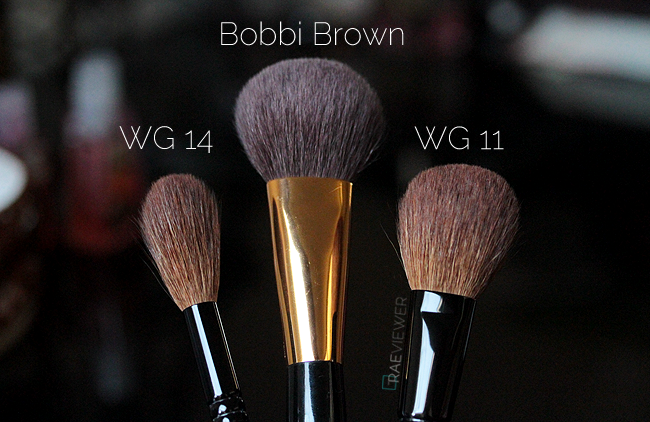 The WG 11 is smaller than a traditional powder brush, so I would not necessarily call it a 'large' brush. Instead, it is the perfect size for my face. The small pinch in the ferrule allows the brush to flare a little bit to cover more surface area and blend out any harsh edges effectively. The WG 11 is barely fuller than WG 12, so some have voiced concerns about how redundant 12 may be. The Large Powder has noticeably longer bristles with a curved, rounded head. Furthermore, the tapering of the bristles are completely different, so owning both is entirely justifiable. 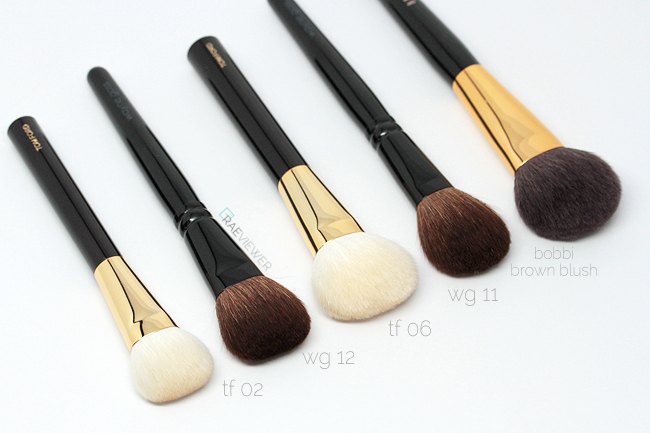 BRUSH 12, Contouring $53: "Designed for contouring and highlighting with creams, powders, and bronzer and sculpting blushes. Its flat edge will give definition and dimension to the planes of the face." I initially thought this brush may be too thick for contouring, but it works exceptionally well along the cheekbones and the hairline. The elongated pinch in the ferrule creates two distinct sides so that color can be picked up with the straight top and blended with the wider, tapered side. If contouring is not a step in your makeup routine, this brush is also excellent for for applying sheer blushes. I am head over heels for the distinctly flat, squared shape. It is a larger version of the Tom Ford 02 Cream Foundation Brush. BRUSH 13, FOUNDATION/MULTIPURPOSE $53: "Excellent for cream, liquid, and mineral foundations — you can take it from your liquid to loose powder to bronzer or blush. 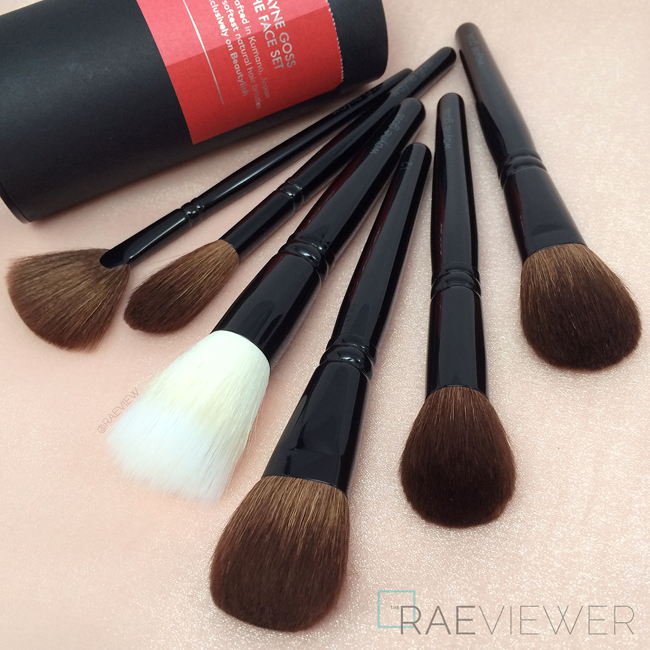 The soft bristles really push powders or mineral foundation into pores for a clean finish." I immediately thought of the MAC 109 as I laid eyes on Brush 13 for the first time. Even after four years of washing and carefully maintaining my MAC 109, it still sheds and bleeds dye. 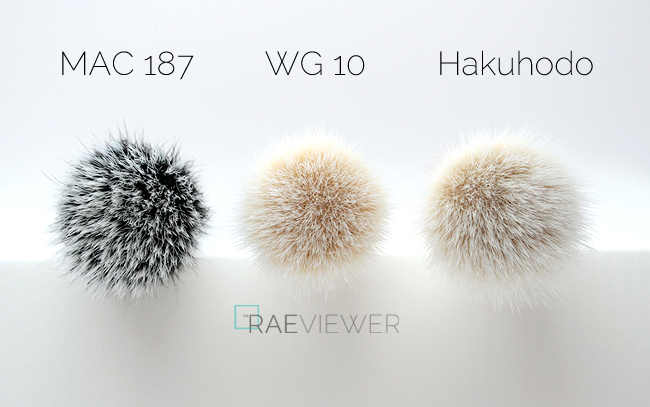 I was pleased to discover that the WG 13 has slightly longer bristles than the 109, so it blends better. This compact brush is perfect for applying liquid or buffing in mineral foundations, and even those with sensitive skin will appreciate how soft and gentle it is. Sayonara, MAC 109.. into the bin you go! BRUSH 14, BLUSH/BRONZER $33: "In applying and blending powders (bronzer, blush, highlighter), it won't move foundation or other makeup." 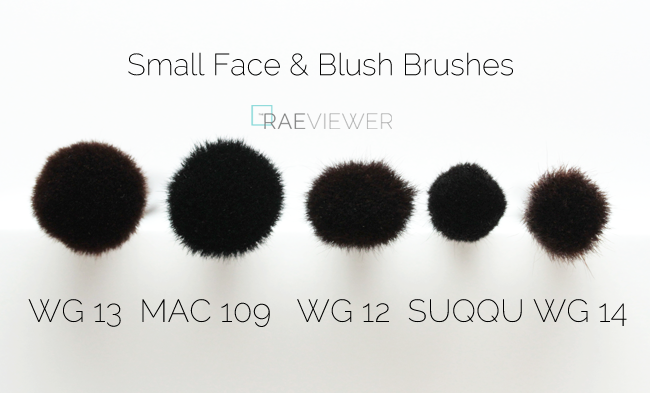 This is a longer, fluffier version of the SUQQU blush brush and at the moment, I prefer it for the versatility! I have never encountered a brush quite like this, and Wayne recommends it for detailed work on the cheekbones or around the eyes to set concealer. As luxurious as it may feel, I oftentimes feel that the SUQQU blush brush does not have enough resistance for my preferences. The WG 14, on the other hand, places a healthy dose of blush precisely on the tops of my cheekbones. 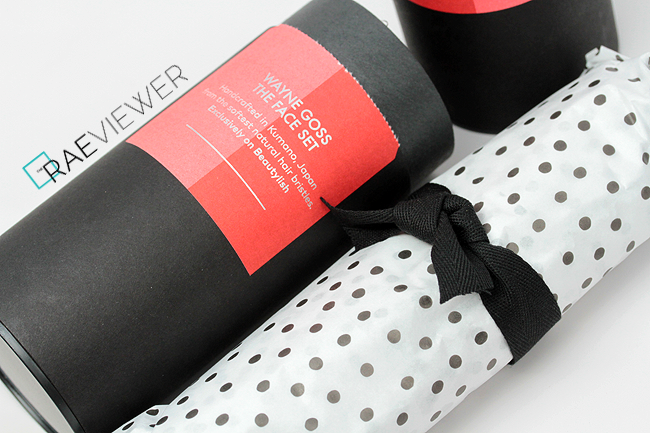 Best of all, it does so without disrupting my meticulously placed concealer and powder underneath. 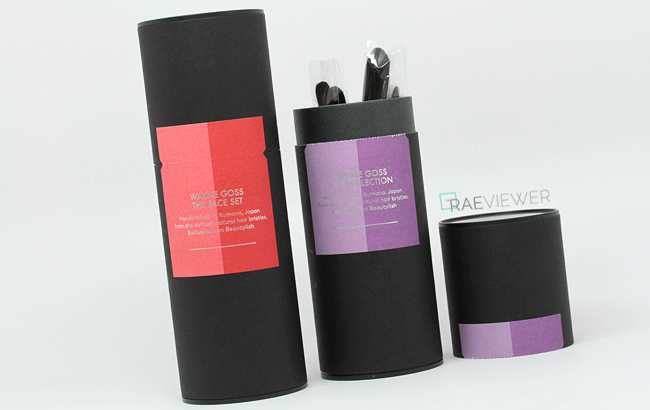 It has a whisper-light effect on the skin, so you must give it a try if you love powder products! BRUSH 15, FAN BRUSH $25: "An ultrasoft fan brush excellent for highlighting the tops of cheekbones, brow bones, and cupid's bow. The thin shape can create a really sharp line when contouring cheeks." 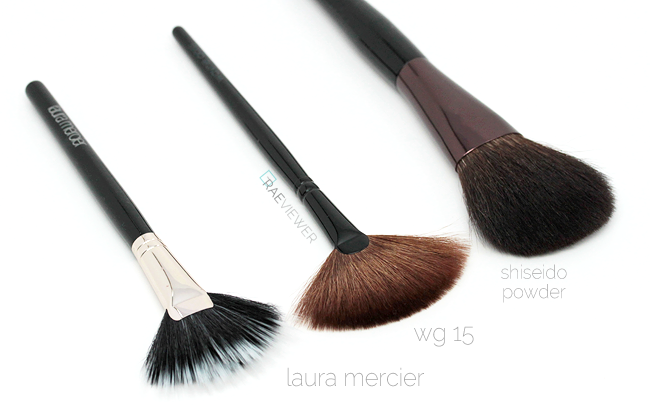 I personally do not reach for my fan brushes often, but Laura Mercier's extra small duo fiber version is one of the best. It is ideal for precision work. 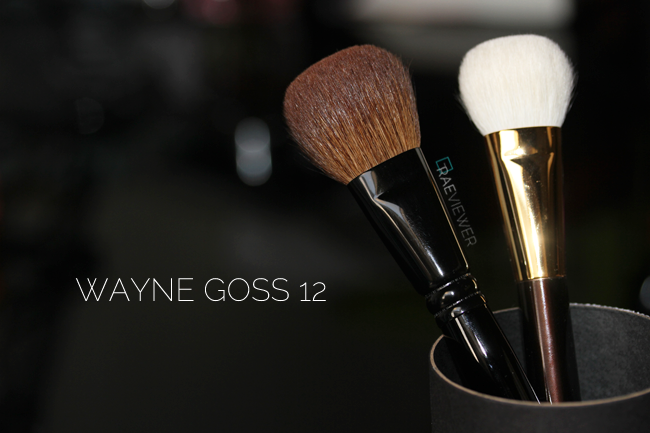 The Wayne Goss version is larger and exponentially thicker, which makes it superior for color work, as with bronzer. 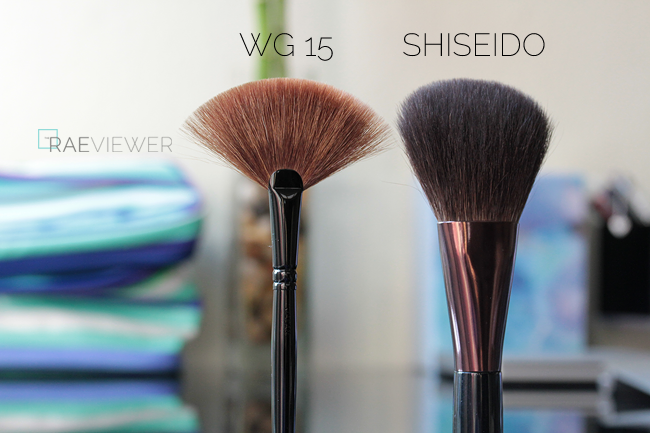 I included the Shisiedo powder brush as a comparison, even if it has double the amount of hairs, since the flared shape is somewhat reminiscent of a fan. 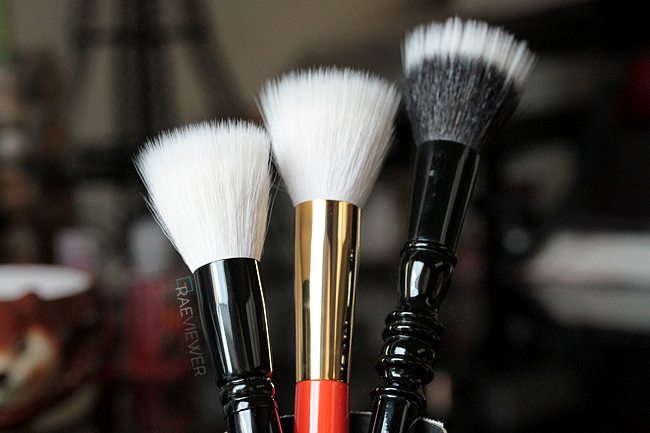 The Shisiedo brush should be reserved for use with airy loose powders, as the delicate bristles are prone to splitting. 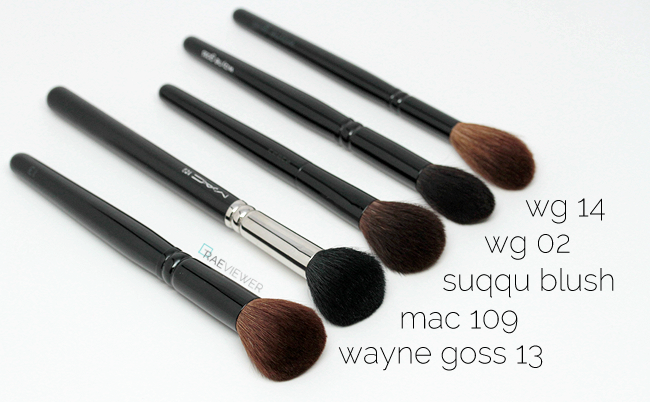 The Wayne Goss 15 can be used to apply a gentle wash of any powder product or simply to wipe away fall out without disrupting foundation. It may change your mind about fan brushes! As always, love your review. 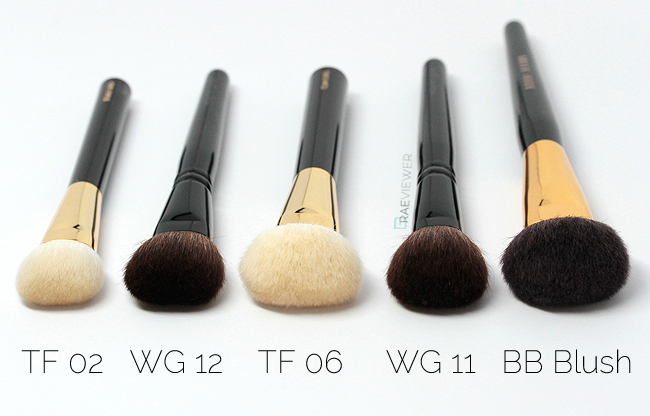 I am saving to buy some hakuhodos and a brush or two from Tom Ford - would you recommend these over those options for someone beginnig to build a quality brush collection? I am so glad you reviewed this! 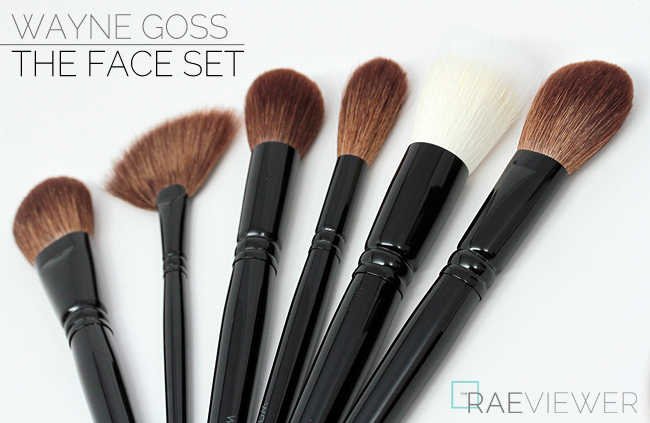 I've been looking for a setting/finishing powder brush and was interested in getting a Goss or TM one. What would you recommend from either?